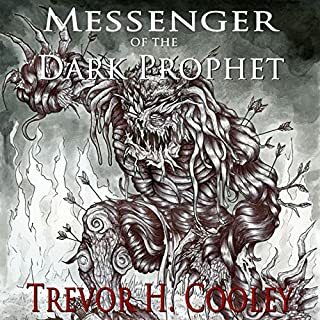 Would you listen to Messenger of the Dark Prophet again? Why? I already have and will again it is as captivating as harry potter was when I 1st listened it. The presidential campaign trail, 2012: A political operative and a volunteer are brutally murdered while caught in a compromising position. Written in their blood on the wall of the crime scene: IT'S GOOD TO BE BACK. And with that, a centuries-old horror known only as the Boogeyman returns to taunt Nathaniel Cade, the president's vampire. 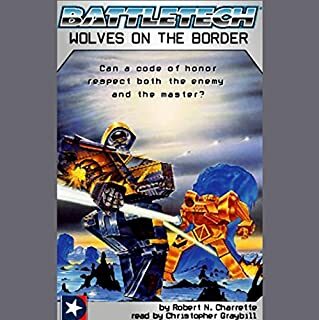 Against the backdrop of the 2012 presidential race, with the threat of constant exposure by the media, Cade and Zach must stop the one monster Cade has never been able to defeat completely. Wow he does it again! 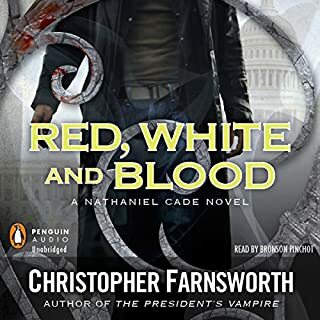 Would you listen to Red, White, and Blood again? Why? I already have two times. It's just that great! The plot of this book seems really linear at the start but after 20 mins or so you enter a rollercoaster of plot twists and red herrings that leave you guessing about with will happen next. Yes but only in the first two of The president's vampire books. I feel he does a great job at catching the character of each person in the book and passes this on to the listener in the nuances he uses. If you liked the first or second book even a little you will love this one. 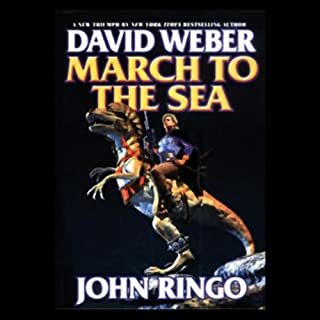 i got these book out of order so i knew what was going to happen in this book yet i found this book to be a very good listen. 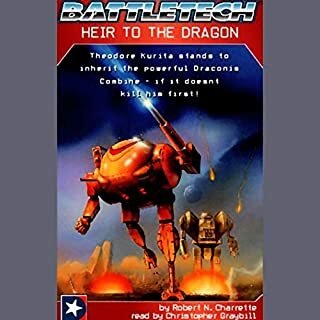 Theodore Kurita is heir apparent to the Draconis Combine, one of the most powerful realms of the Inner Sphere. But the Draconis Combine has never been a place of smooth transitions. Historically, a Kurita proves himself fit to lead by a successful bid for power, political or otherwise. 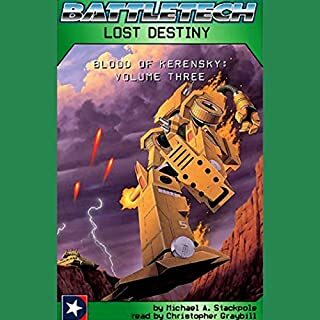 As a Mech Warrior of the Draconis Combine, Minobu Tetsuhara was bound by Bushido, a code that demands loyal service to the devious Warlord Grieg Samsonov. But when Minobu came upon a strange blue and gold Archer, Bushido also dictated that he not destroy the honorable but helpless warrior. And so he rescued Jaime Wolf. 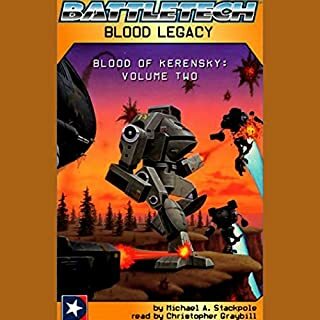 Blood Legacy continues the saga of the Clan invasion begun in 3030. Jaime Wolf has brought all the key leaders of the Inner Sphere together to put to rest old blood feuds and power struggles. But old hatreds and suspicions die hard. And so continues the saga of the Clan invasion and the explosive struggle within the Inner Sphere. 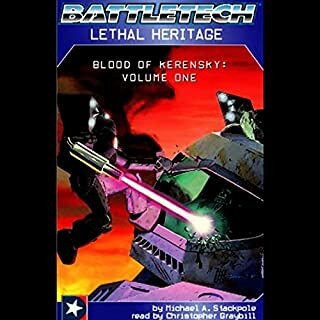 With secret aid from ComStar, the Terran-based sect that serves as the keeper of the Inner Sphere's technological secrets, the Clans' BattleMech warriors have been incredibly successful in their campaign of invasion. But ComStar has its own reasons for giving aid to the enemy, and if its strategy proves successful, the Inner Sphere worlds will finally be reunited under ComStar's rule.